I bet when I said that I was taking a mini blogging break that you weren't expecting me to post the very next day. This is a post that couldn't wait though. It is a little time sensitive. Emily de Molly is one of the guest makers for this month's Hella Holo Customs. These three polishes are only available for the month of June (hence why they are time sensitive) and are only available for members of the Hella Holo Customs Facebook group (you can find the group here if you aren't a member and would like to join). Right so let's take a look shall we? 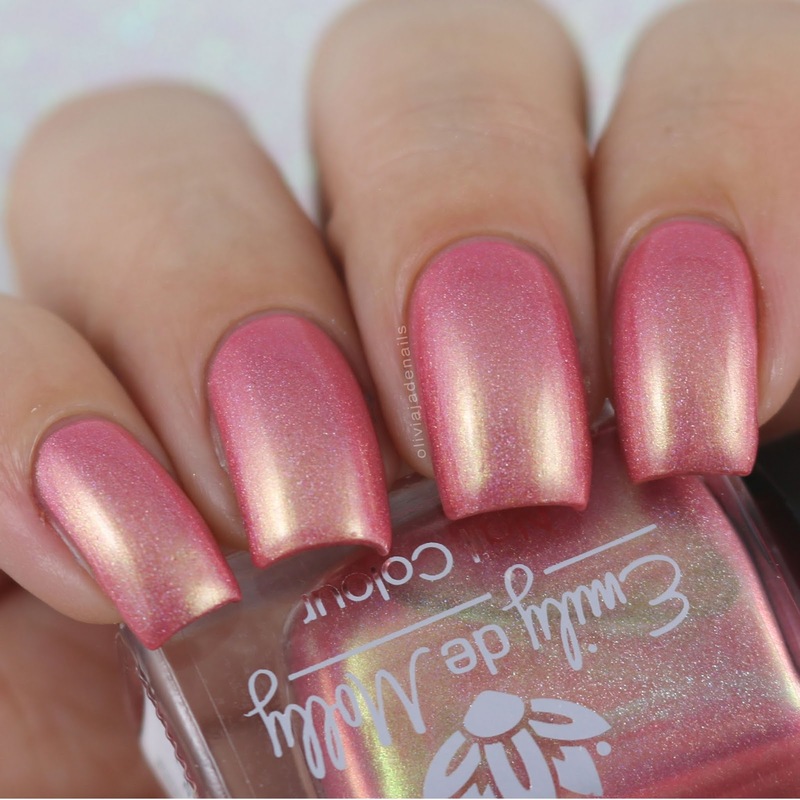 Desert Rose is a salmon pink holo with green to rose colour shifting shimmer. Such a pretty colour especially with that shimmer. Like with all Emily de Molly this polish is really easy to use. My swatch shows two coats. It is still slightly see through at the tips in direct like so could probably do with another coat. 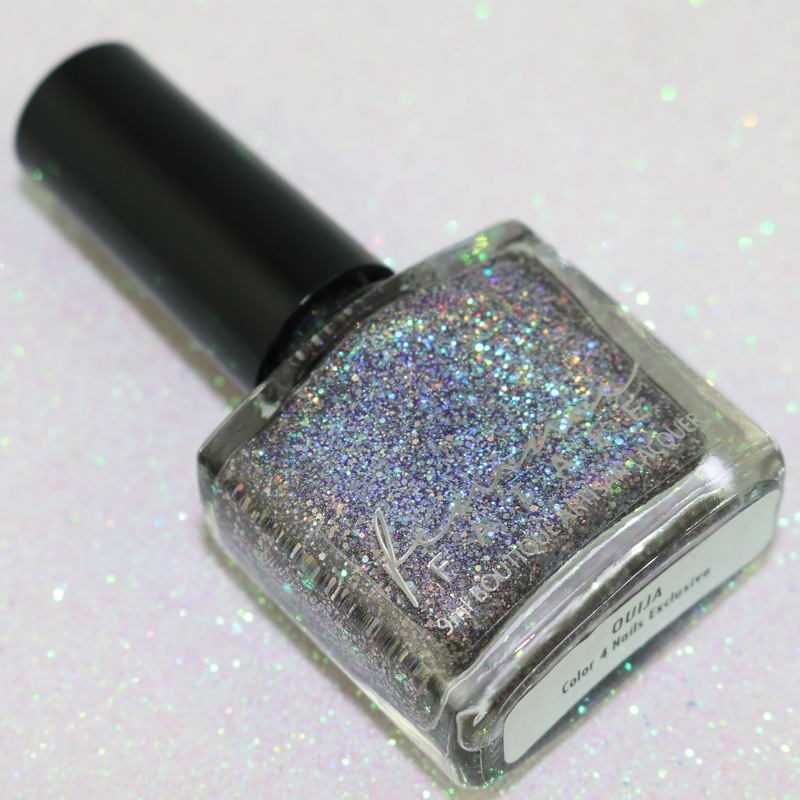 Four Weddings & A Manicure is a light beige holo with subtle pink undertones, pink iridescent micro flakes, gold to green shimmer and silver, ultra thin and ultra holographic, micro glitter. I really like this one for a neutral polish. Again, it's really easy to use and is still slightly see through at the tips in direct light after two coats (which I have used in my swatches). 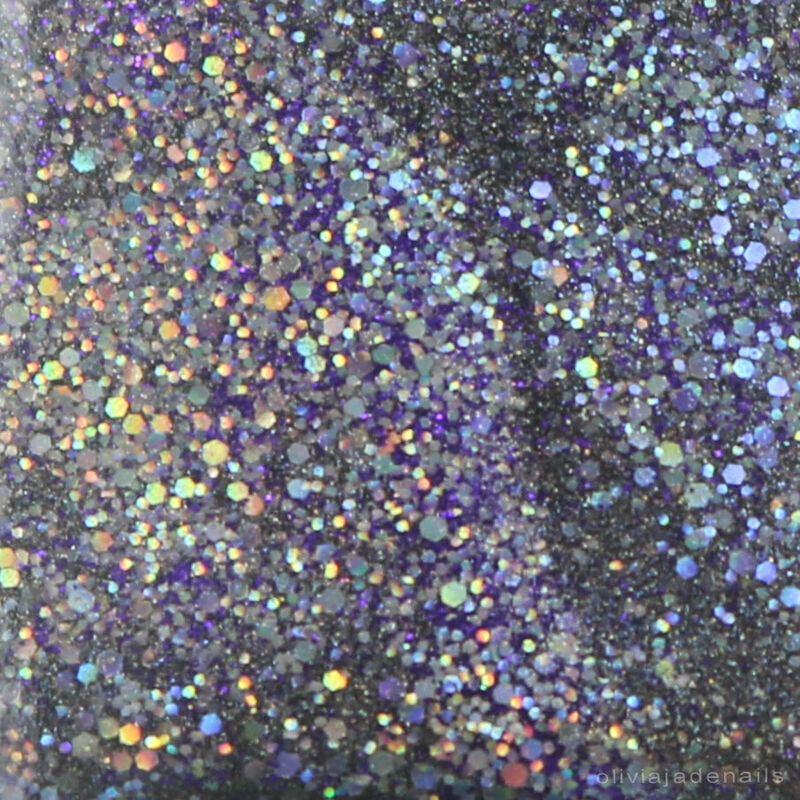 Iridescent Skies is a light pink based purple holo with green to gold colour shifting shimmer and turquoise overlay. This is easily my favorite of these three polishes. I actually wore it as a full mani and couldn't stop looking at my nails. Especially when the sun popped out for the whole minute. It's so pretty. Great formula and opaque in three coats. As I mentioned earlier these polishes are only available until June 30th so you need to get in quick if you want these. Head over to the Hella Holo Customs Facebook page for all the details on how to purchase these. You can join here. Recently my daughter has been sick (only with a cold and nothing serious) but it has caused quite a few sleepless nights in our house hold. I stupidly kept up with my usual crazy pace and exhaustion has really hit me hard. What does that mean? Well I have decided to take a little step back from my usual blog and Instagram schedule. Never fear though, I am not going anywhere. My break is only for about two weeks (my daughter is on school holidays so it's perfect timing) and I will still be posting on IG probably 4-5 times a week (instead of my usual 7+) and I will only be doing 3-4 blog posts a week. Really it probably won't seem like I am gone too much for you guys but it will be a huge break for me. Anyway I just thought I should do a quick update so no one panics and thinks that I am quitting or something. Dance Legend have been super busy increasing their range of polishes and I am lucky enough to have a few from some of the new collections. I will be sharing these with you over the next few weeks. Today I have two of the polishes from the Golden Eye Collection. 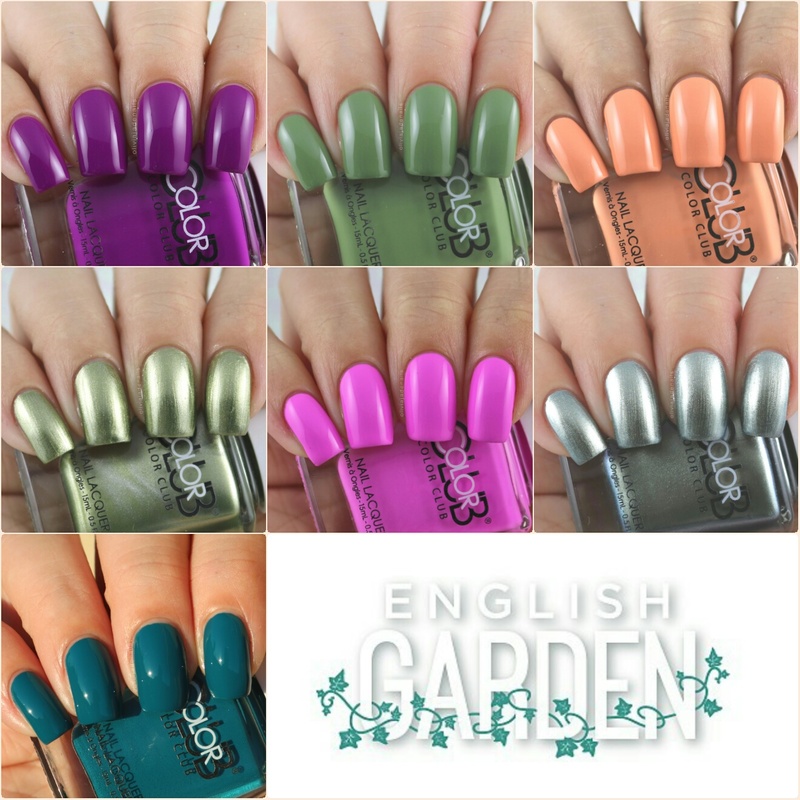 This collection features six mini sized (6.5ml) magnetic polishes. I have never tried magnetic polishes before so was super excited to try these out (*spoiler alert there will be some more magnetic polishes coming up in a future review). 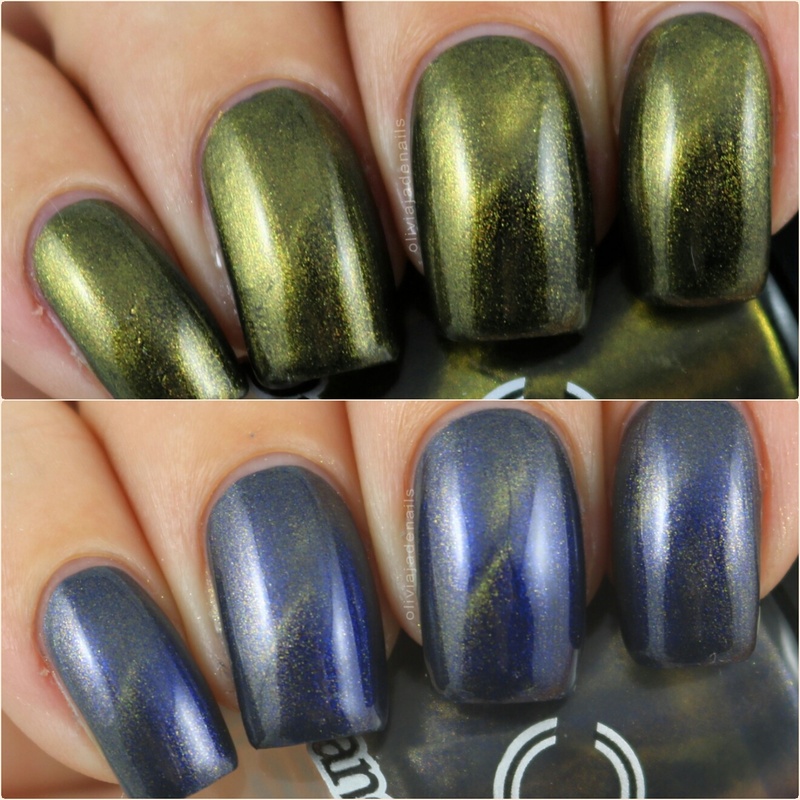 Thunderball is a navy blue magnetic polish with golden shimmer. I really like this colour, especially seems it's winter (and freezing cold) here in Melbourne. This polish is easy to work with and you could easily get away with one coat (I'm not sure if the magnet would work with only one coat though). The magnet was easy to use and showed the change quite well. My swatch shows two coats. You Know My Name is a olive green magnetic polish with a bronze shimmer. This formula of this one is easy to use and you can get away with one coat. I didn't find that the magnetic change was quite as obvious as Thunderball but there is definitely a change there. My swatch shows two coats. Overall I quite like these polishes. It took me a little while to get use to how close you need to hold the magnet to the polish for the change to happen but I got there in the end. I definitely will be playing around with these some more. The Golden Eye Collection is available from Dance Legend (with international shipping). Do you think that you can ever have enough nail art supplies? Personally I don't think you can. I love having a variety of things to play with. 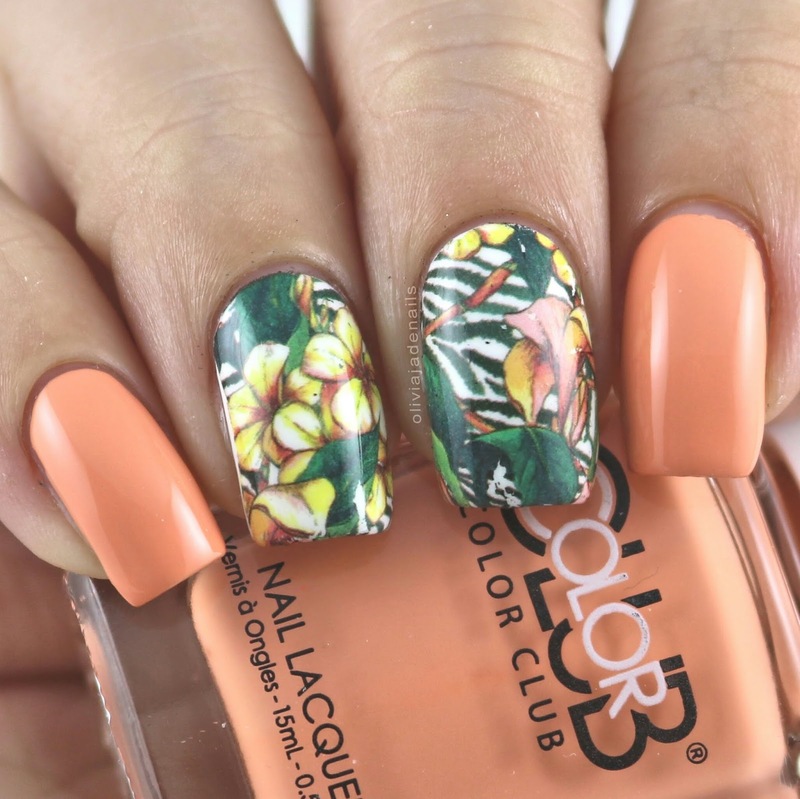 I was approached by Nicole Diary to try out some of their water decals and as a true nail art addict I said yes. 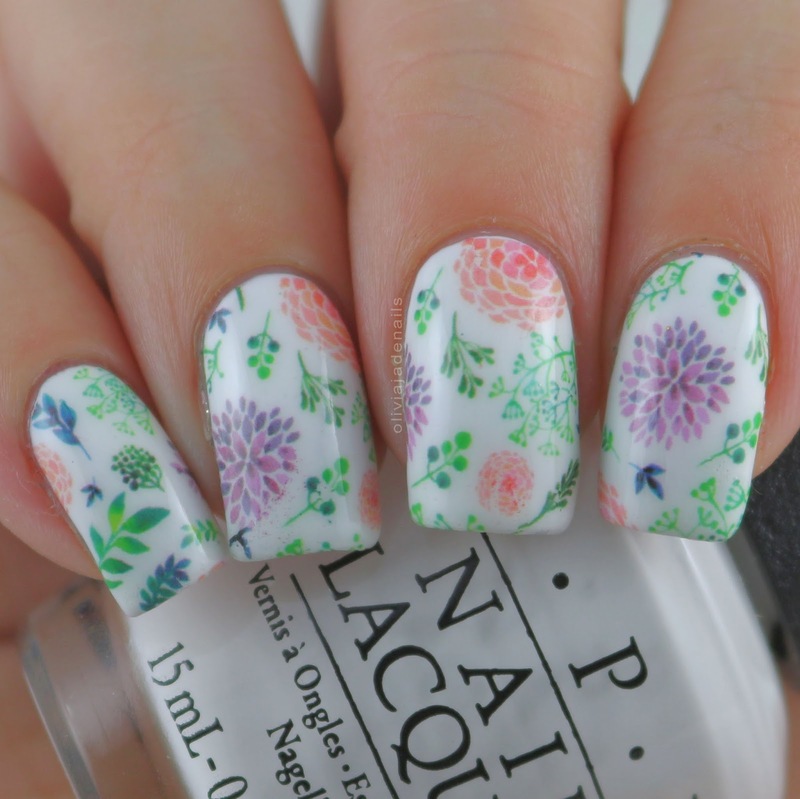 I do love water decals. There are so many amazing designs out there and they are so simple to use. 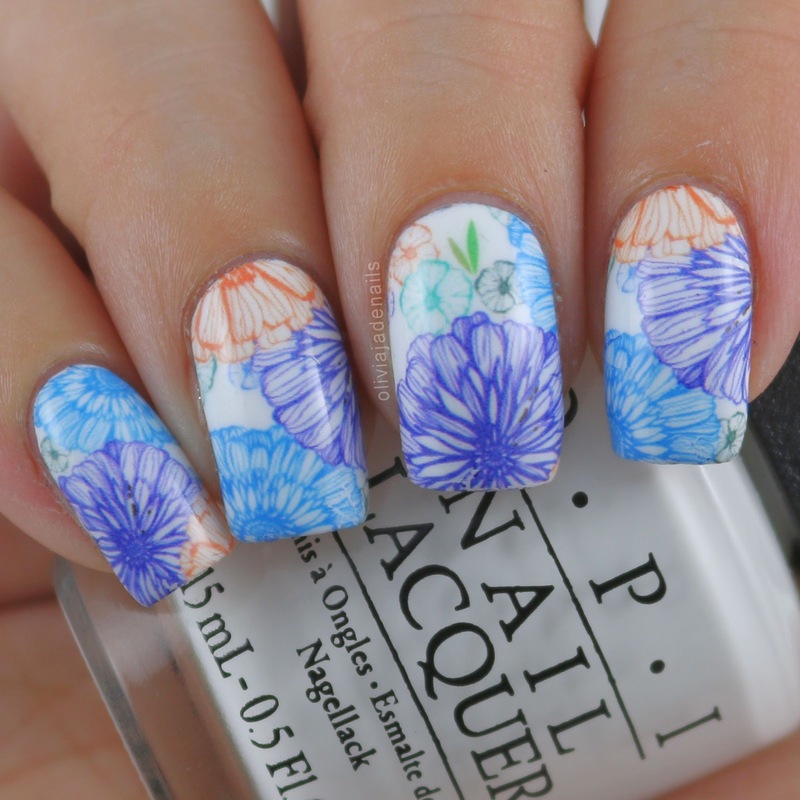 I was sent eight water decals to try and I am very impressed. They are a really generous size decal (not to skinny that they don't cover the entire nail) and are quite long which is great for those with really long nails. Those with shorter nails it's even better news. You can easily cut the decal in half and get double the amount. I had no issues with getting any of the decals off their backing (each decal comes packaged with clear details of how to apply the decals for those you have never used water decals before) or applying them to my nails. 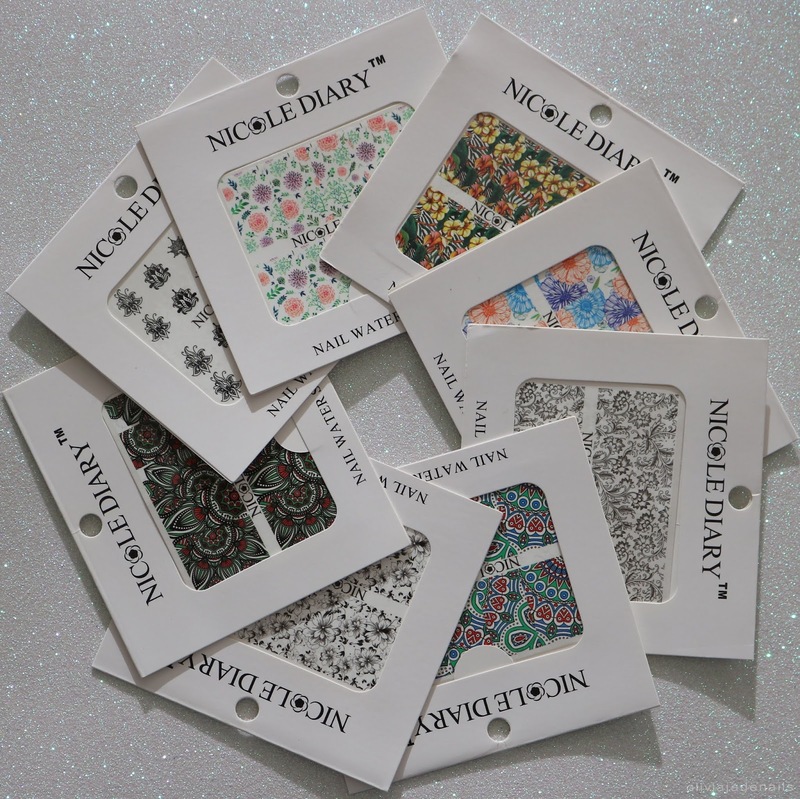 Nicole Diary currently stock a good range of water decals and nail stamping plates (something I am definitely keen to try next). As they are only a new brand I am sure their range will continue to grow over time. They also ship worldwide. Is there a coupon code I hear you ask. Why yes of course. Nicole Diary are kindly offering a $2-$5 gift with every purchase if you use the code Tr2016. Who doesn't love little extras? You can find Nicole Diary on Amazon and Aliexpress. Today I have a super quick post to share with you. I have the latest Emily de Molly store exclusive for Femme Fatale Cosmetics called Gold Light Of Day. As soon as I saw it, I knew I had to have it and I have no regrets. Let's take a look shall we? Gold Light Of Day is a light gold holo with pink/copper shimmer throughout. I am such a fan of this one. I think it is so pretty. I am glad that the sun made a guest appearance for this one. 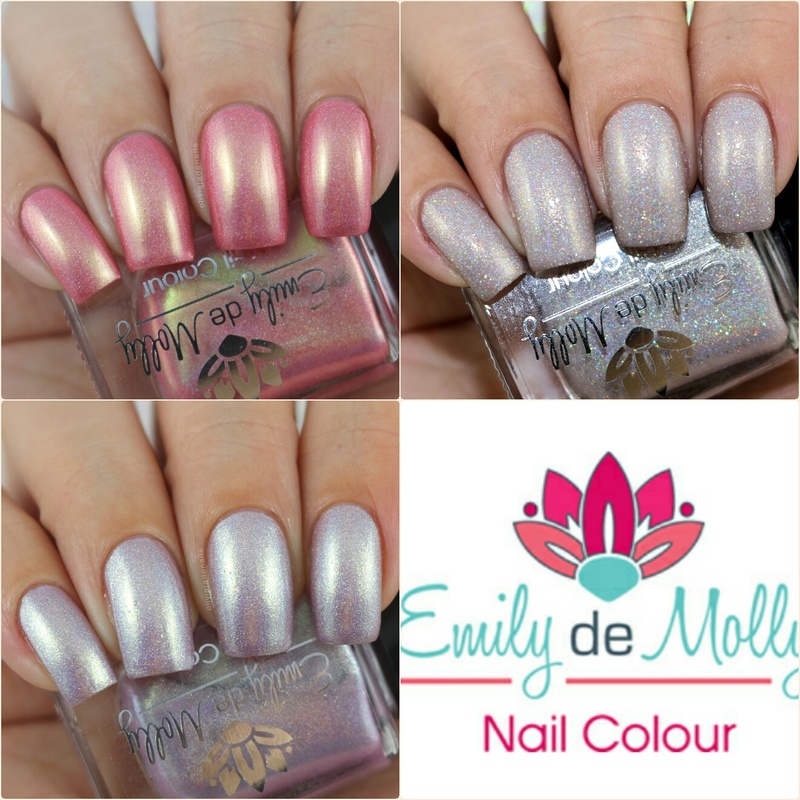 Like with all Emily de Molly polishes the formula is easy to work. This one I found was a little on the sheer side and needed three coats to be opaque. Gold Light Of Day is sold exclusively through Femme Fatale Cosmetics. Color Club are on a roll with all the new releases coming out recently. From sheer tints, to emoji glitter polishes, to thermals and everything else in between, it's a little crazy trying to keep up with it all. Some time recently they released their English Garden Collection and there was a few colours that grabbed my attention so took the plunge and purchased the entire collection. 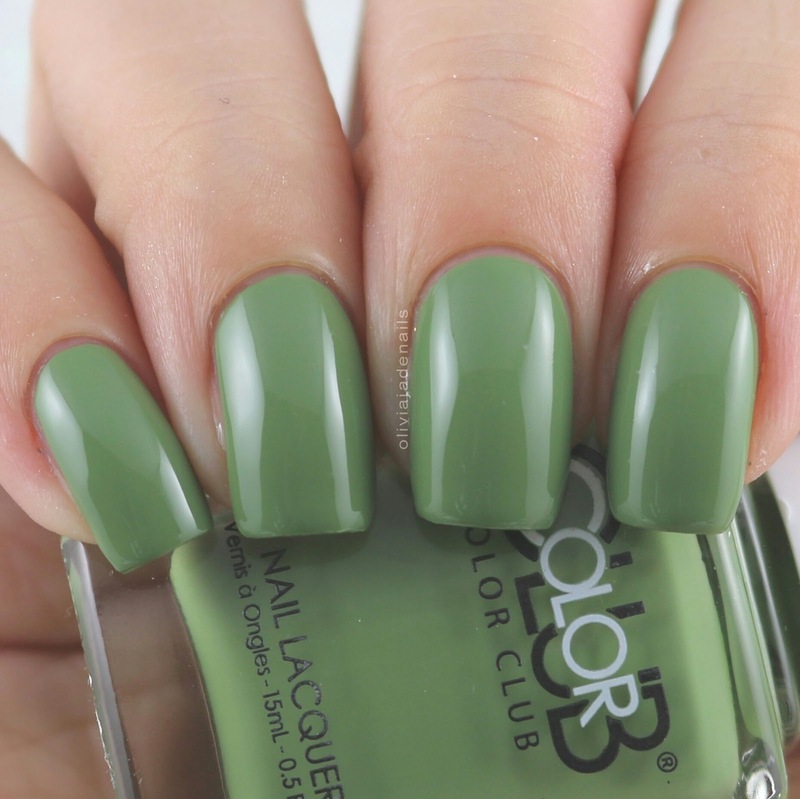 Like with most of the Color Club collections there is very limited information available online so hopefully this post will be of help to you. Biscuits & Jam is a purple jelly/creme. It's not quite a creme and not quite a jelly, but whatever you want to call it, it is a beautiful colour. The formula is really easy to use and it is a little sheer at the tips after two coats. I used three coats for my swatch. 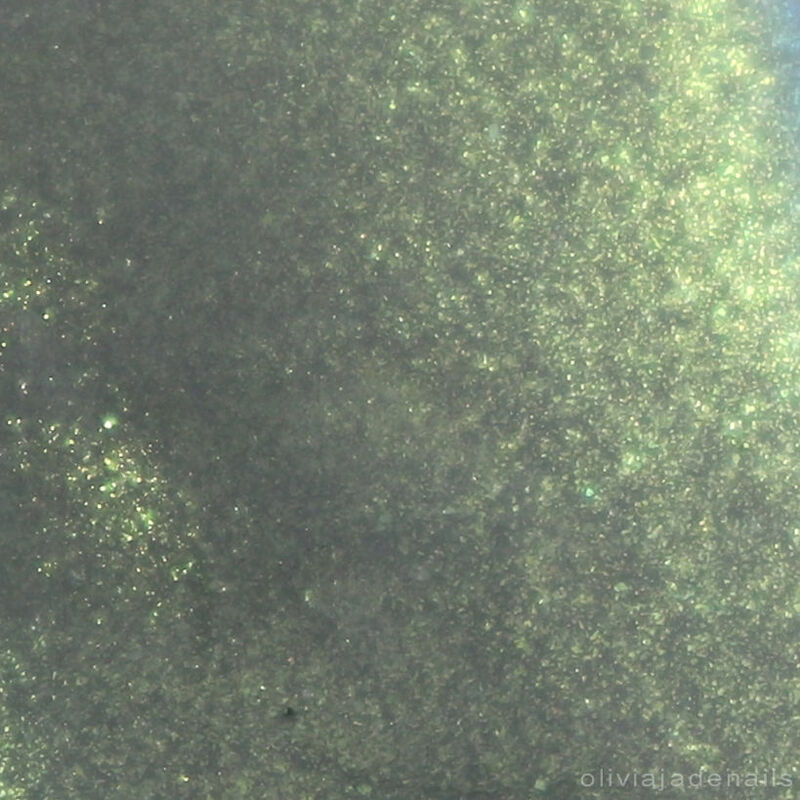 Grand Dame is described as a silver/green metallic. It's definitely unique in my collection. The formula is really easy to work with, it applies really evenly (although there are visible brush strokes) and you could get away with one coat if you don't mind having slightly see through tips in direct light. If I had shorter nails I would only do one coat. My swatch shows two coats. It's About Thyme is a sage green creme. Again this is really easy to use and you could get away with one coat if you apply it carefully. This colour actually surprised me. As you are probably aware I am not much of a green girl, but this one is really interesting. I quite like it. My swatch shows two coats. 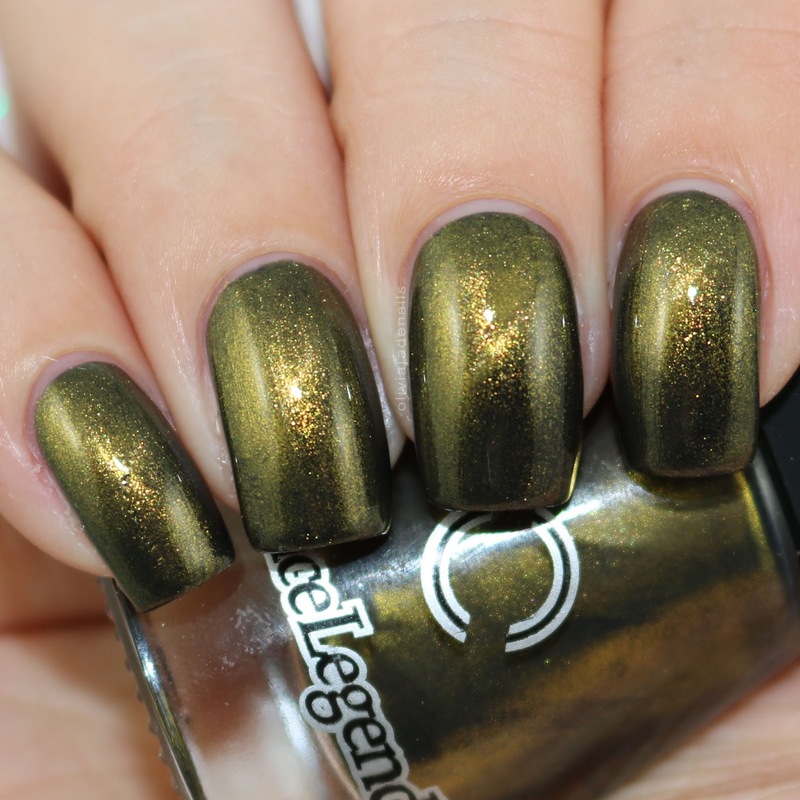 Long Live The Queen is described as a green/gold metallic. This applies the same as Grand Dame. I used two coats for my swatch. Pinkies Up is described as a peach creme. It's easy to use and opaque in two coats. Prim Rose is a pink/purple creme. 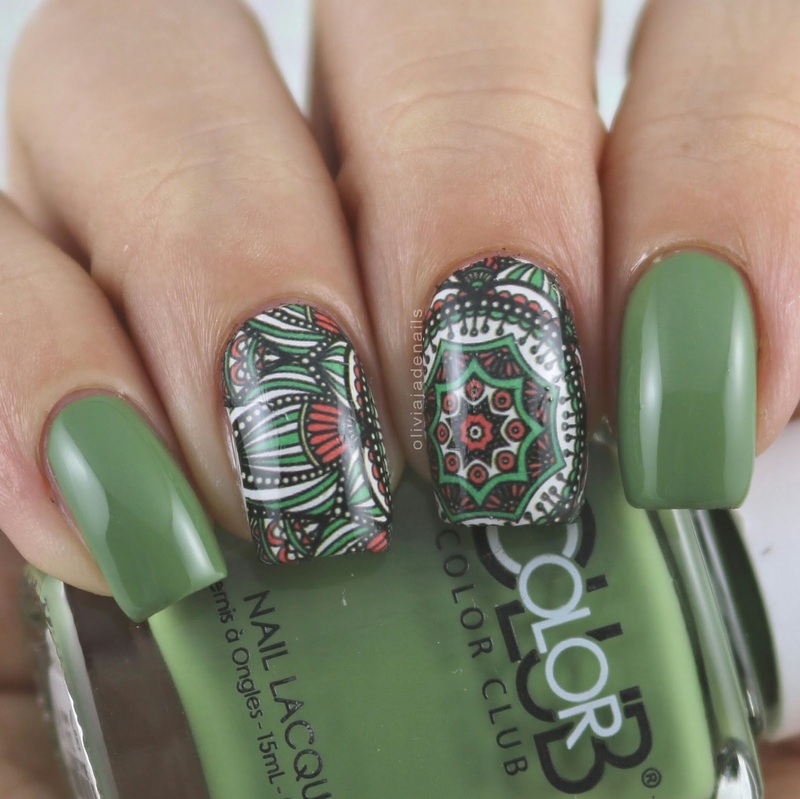 This polish is absolutely gorgeous. It's bright without being neon and so creamy. I simple love this one. The formula is great and easy to use. My swatch shows two coats. Teal For Two is a dark teal creme. Now this one was quite difficult for me to photograph. My cameras kept turning it more blue toned than what it actually is. However, direct sunlight did help out which is why it's the only picture not taken in my light box. Anyway, the formula is great (you can easily get away with one coat of this one) and the colour is so pretty. My swatch shows two coats. I also didn't have any staining with this one after wearing it for a day. Overall I quite like this collection. I don't love all the shades (for example those metallics - they aren't bad but they don't make my heart sing). My personal favorites are Prim Rose (hands down my favorite in this whole collection), Teal For Two, Biscuits & Jam and It's About Thyme. Yes you did read that correctly, I did put a green (and not a minty green) as a favorite in this collection. I believe that this collection is available in a number of online stores. I purchased mine from HB Beauty Bar. I seem to be on a roll with trios from indie makers at the moment. Definitely didn't mean for that to happen. The next post I promise will have more than three polishes. 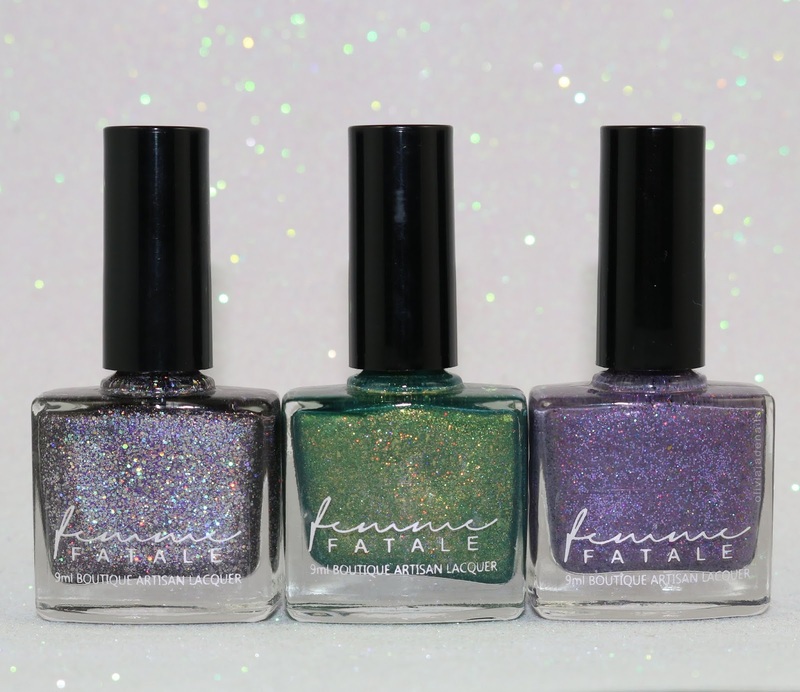 Today I have three of the polishes that Femme Fatale Cosmetics have made exclusively for Color4Nails. A few of these have been around for quite some time now and may not even be available anymore so I apologize if that is the case. It's very hard to keep up with Femme Fatale and their stockist exclusives. I still have a bunch that are sitting in my polish rack (and have been there for months) waiting for me to swatch them. I need to either slow down on buying polishes or have more hours in the day to swatch everything. Obviously I need more hours. Anyway, onto today's post. Fire In The Sky is a grey crelly with magenta metallic flakies and purple holo. This one is easy to use, however I did find it a little on the sheer side (especially on the first coat). My swatch shows three coats. 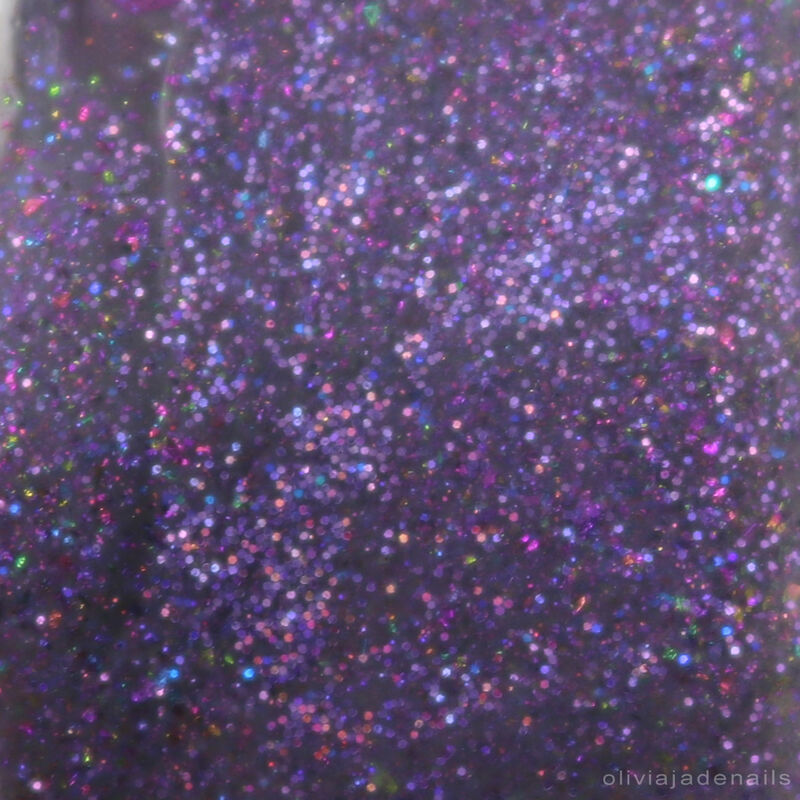 Ouija is a charcoal linear holo with purple microglitter and silver holo. This is really easy to use and opaque in two coats. 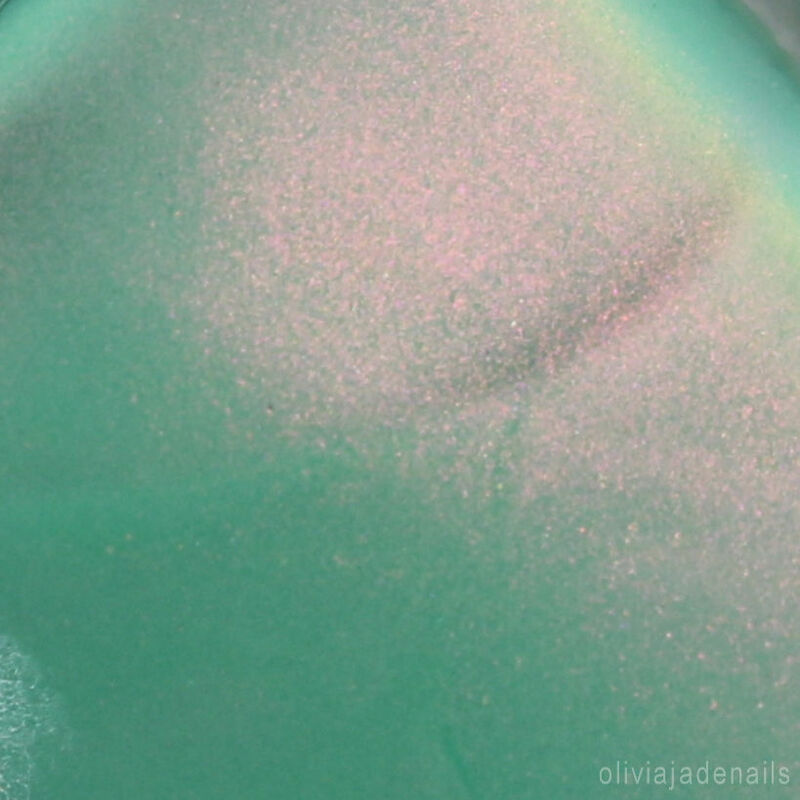 Sweet Fir You has a green crelly base (with a hint of teal) and a smattering of golden shimmer and shifting flakies. This one applies really evenly and is opaque in two coats. These definitely aren't my favorite polishes from Femme Fatale. In fact, if it wasn't for collecting all of the Femme Fatales then I would have skipped getting Sweet Fir You. It's just not my type of polish at all. The other two I like though and would still purchase. I have done a little bit of research and have found out the Fire In The Sky has been discontinued so if you are wanting that one you will need to hunt it down in a blog sale. 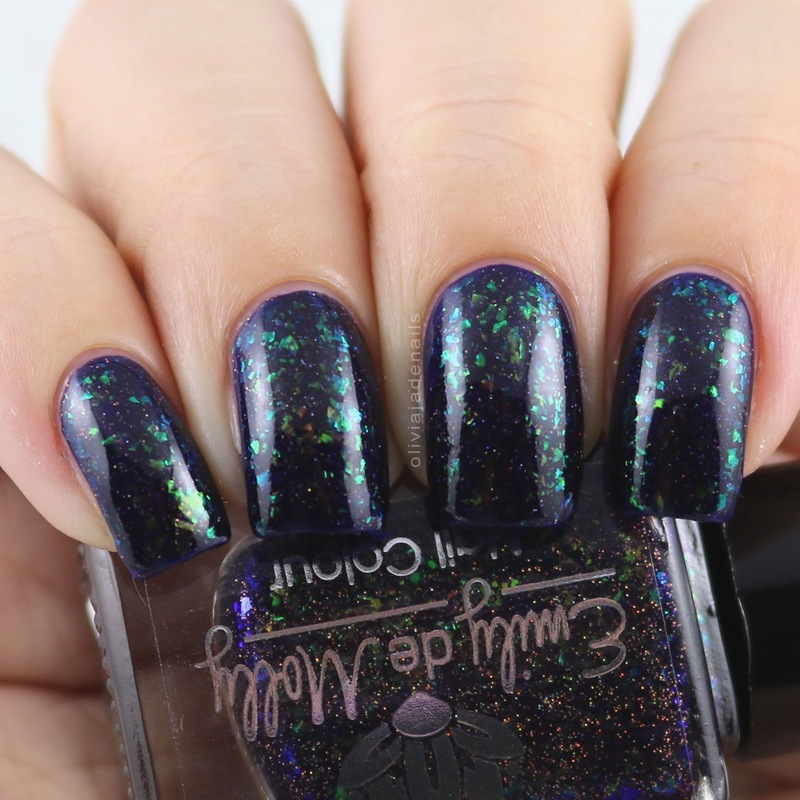 Sweet Fir You is currently still available on the Color4Nails website and Ouija will be restocked at some point. On May 28th Emily de Molly turned four years old! I can't believe that EdM has been around that long. It really only seems like maybe two years since I started collecting them (I know I wasn't there from the very beginning but I don't think I was too far from the start). It's crazy how quickly times goes. Anyway, in order to help celebrate their forth birthday EdM released a gorgeous trio which I have to share with you today. Brick By Brick is a grey based crelly with gold to green to blue shifting shimmer. 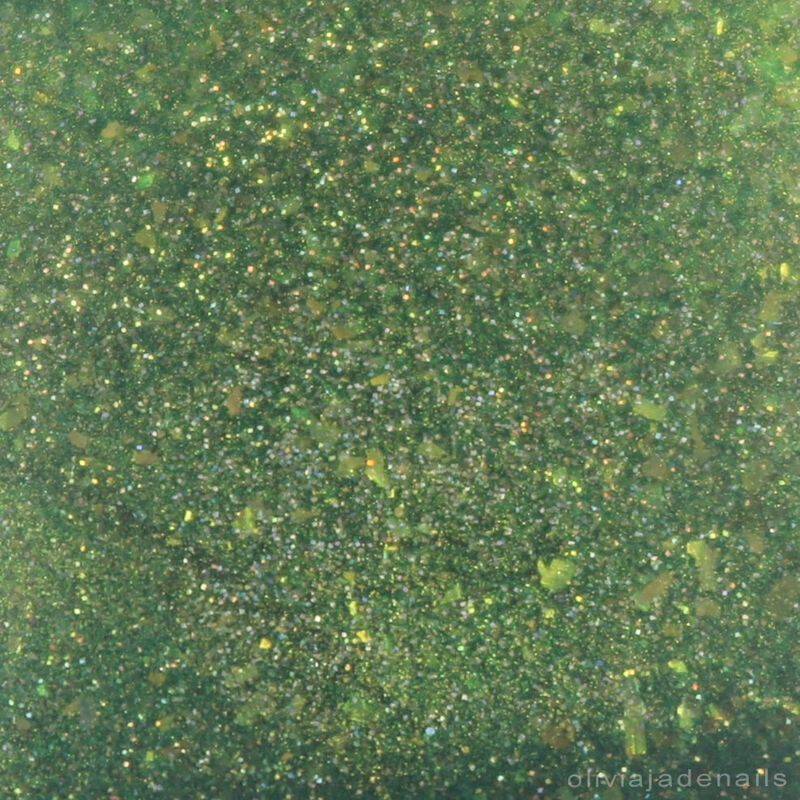 This one does look a little olive in some lights because of the shimmer. 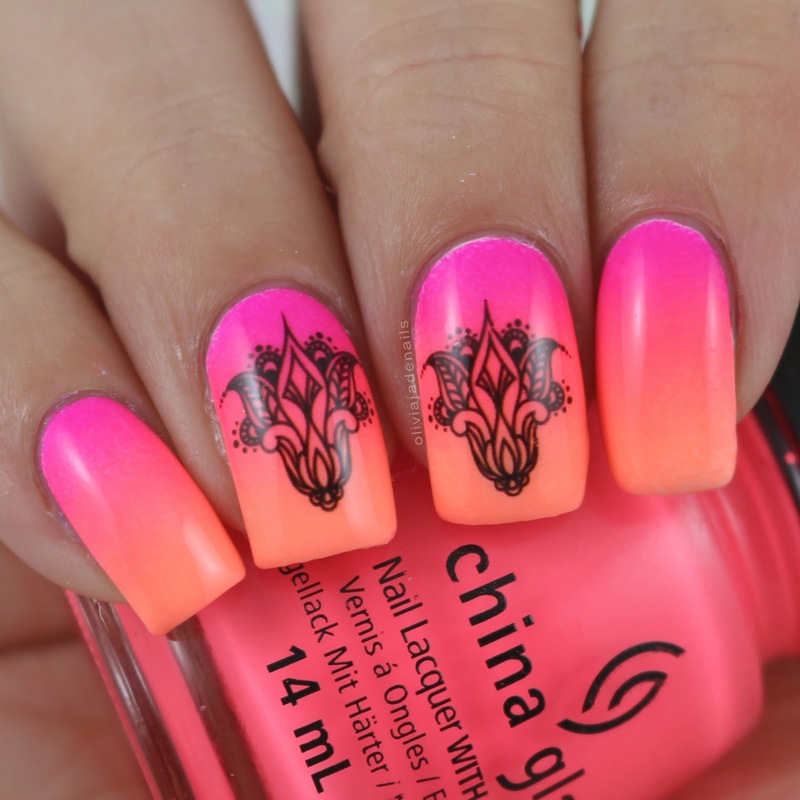 This isn't typically my type of colour but I really like this one. It's easy to use and is opaque in two coats. 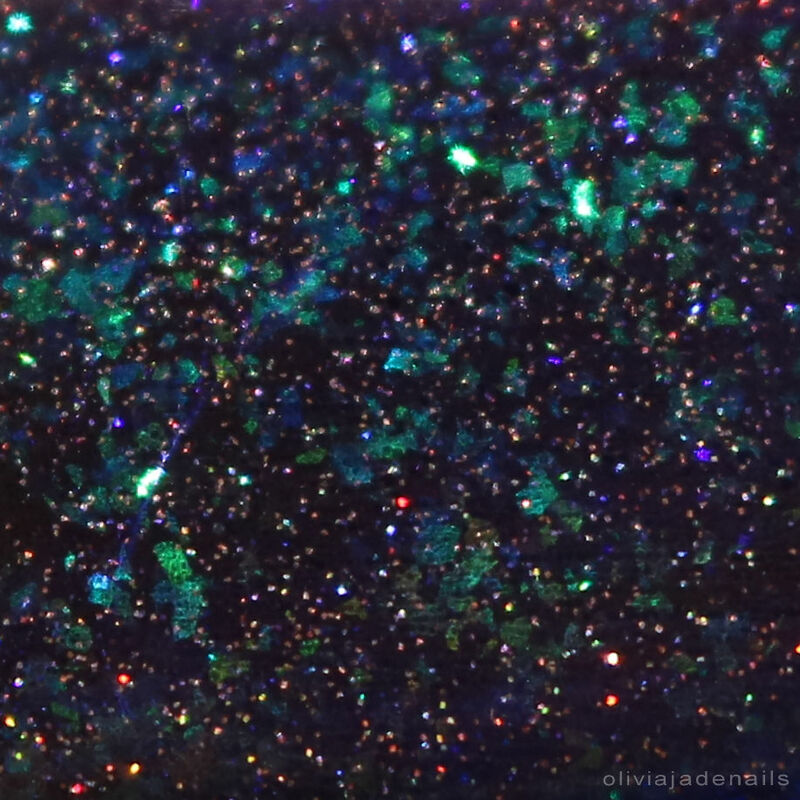 Dark Citation is a very dark blurple jelly with colour shifting iridescent flakes that shift from orange through to green and blue. It also has a fine copper shimmer and copper coloured micro glitters. This is quite nice but I think it definitely needs sunshine to show its true beauty. The formula is easy to use. I used two coats for my swatch. Pending Perfection is a light mint green creme with a heavy red to gold duochrome shimmer throughout. This one is quite pretty and easy to use. I used three coats for my swatch. I think this is such a great birthday trio. Unfortunately it appears that two of the three shades are unavailable and I am not sure if they will be restocked or not. Brick By Brick is still available on the Australian site but isn't on the international site.